A little something I wrote for livetaos.com about Cord Kiessling, Eske's new brewer. 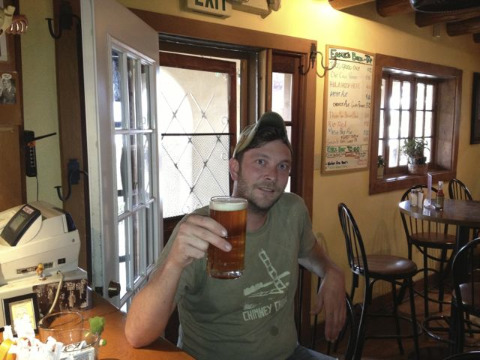 Cord Kiessling is the new brewer at Eske's Brew Pub in Taos. With a new job in Denver lined up, Cord Kiessling had already started to pack his bags. Then, the one job that could make him stay in Taos became available. “I told my friends the only reason I would stay in Taos was if the brewer position at Eske’s opened up,” says Kiessling. What he didn’t know was long-time Eske’s brewer Chris Jones had given his notice. It was when Kiessling showed up for his second-to-last bartender shift at the pub that he heard the news. He immediately told Eske’s co-owner Steve Eskeback that he wanted the job.